Plagiarism is considered academic dishonesty and a breach of journalistic ethics. Globally, many institutions use plagiarism detection software to uncover potential plagiarism practices. Post Graduate School of Indian Agricultural Research Institute is one of the front-runners in the country to implement this policy not only to protect the Intellectual Property Right but also to develop the character among the students to be perfect in academic writing. 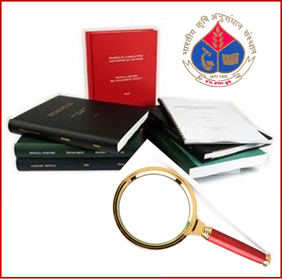 The Institute has subscribed ‘TURNITIN’- a plagiarism detection software to facilitate the teachers and students. A particular bench mark has also been fixed by the Academic Council of Post Graduate School to keep the plagiarism checked in students thesis.